When these fabled foes get together, vermin should be worried. When these fabled foes get together, rats should go running. A collaboration among England’s University of Greenwich, the University of Swaziland in Africa, and the University of Florida, the study aimed to aid African subsistence farmers by pitting the two pets against each other to determine which proved the more effective pest deterrent. Researchers evaluated rodent activity on 40 farms in central Swaziland – 10 with cats, 10 with dogs, 10 with neither, and 10 with both – by setting out peanut-studded boxes of sand. 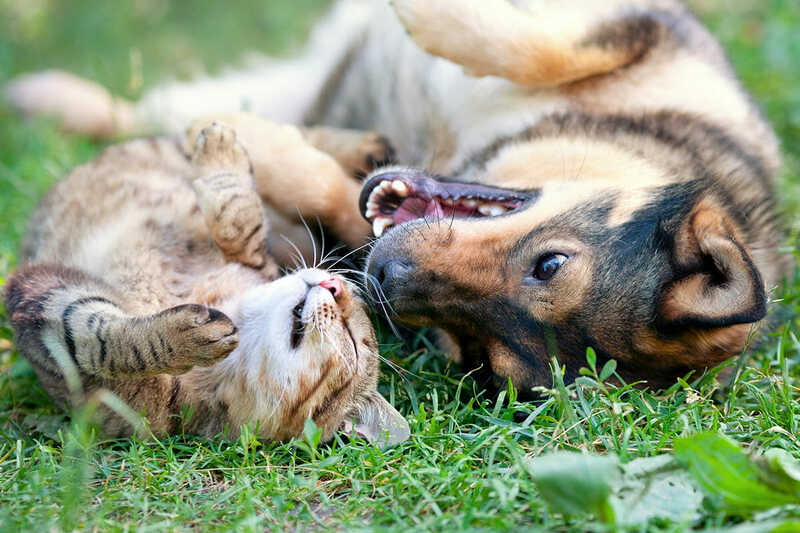 Farms with felines or canines demonstrated similar vermin activity to those with neither. At farms with both, however, vermin activity declined.